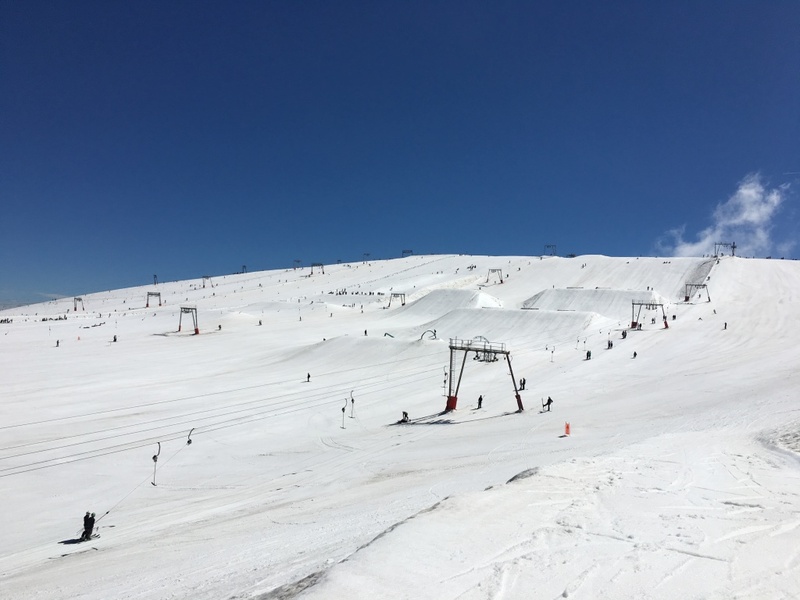 We have been busy getting our Summer Ski and Snowboard Camp planned, and have just returned from an amazing week out in Les Deux Alpes. 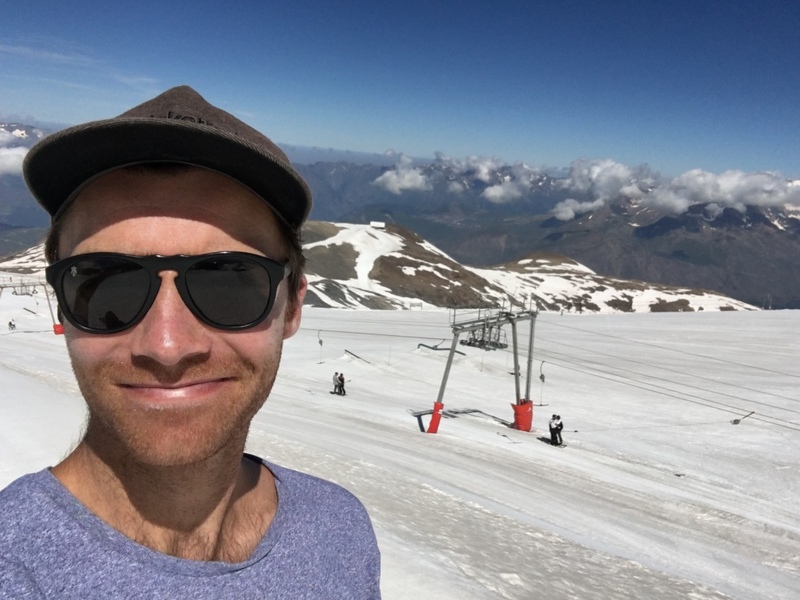 It’s 30c at home, and we’re at the foot hills of a ski resort with our ski equipment, ready to get our buzz on. It’s a case of early nights, and early starts to make the most of the conditions, it’s a really healthy lifestyle and an amazing way to spend a week. Mornings typically start with breakfast at about 7 00, ready in time for a lift up at 7 30. You take the Jandri bubble straight up (there’s a solid queue at 7 30, which moves pretty fast – the queue dies down after 8 00). The ascent in the bubble is probably about 20 minutes, and when at the top you’re greeted by the beautiful glacier and an absolutely thriving scene. The glacier is basically split into two halves. 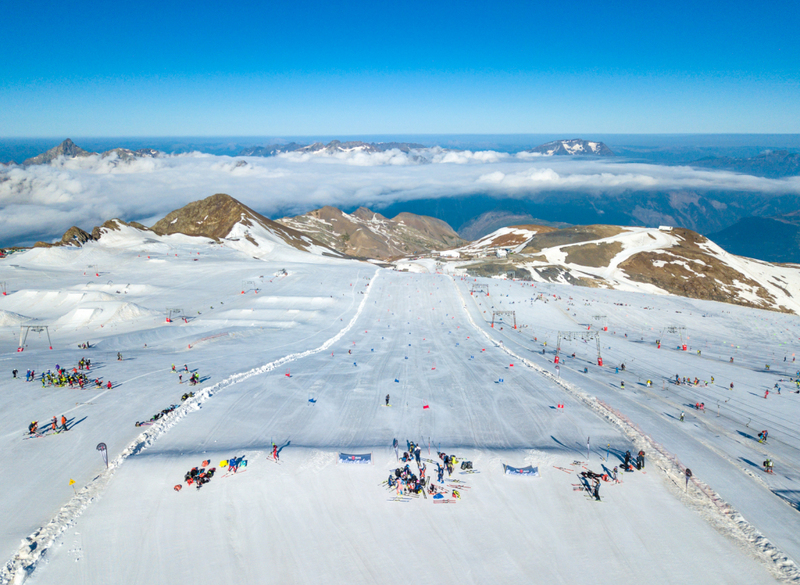 One side is full of ski race lanes, and packed with racers of all abilities including everyone from the French ski race team, down to small UK clubs. There’s a mixture of competition and gate training going on, in a very inclusive nature. On the other side of the mountain there’s one of the most solid freestyle set ups I have ever seen. 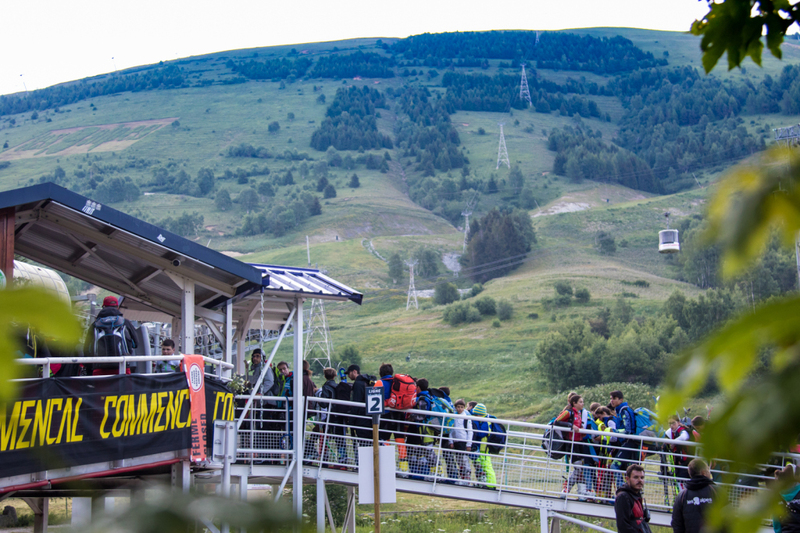 There are two separate slopestyle descents, each boasting a huge range of features, one is green, blue and red, and the the other is Black L and XL. 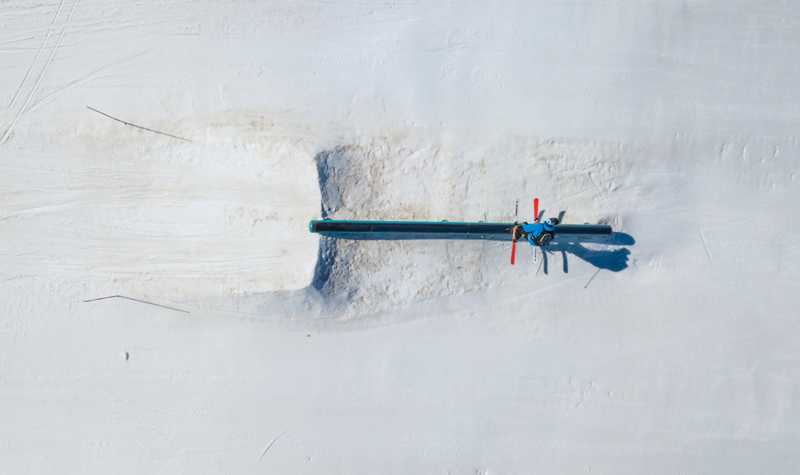 On top of this there’s a huge rail section, and a two pipes, one XL superpipe, and one basic pipe. Again the riding ability is hugely diverse from inspirational slopestyle pros, down to young kids learning and trying their hand at the mixed discipline. From about 11 00 the snow starts to really soften up, making it perfect and very forgiving for a bit of freestyle training. 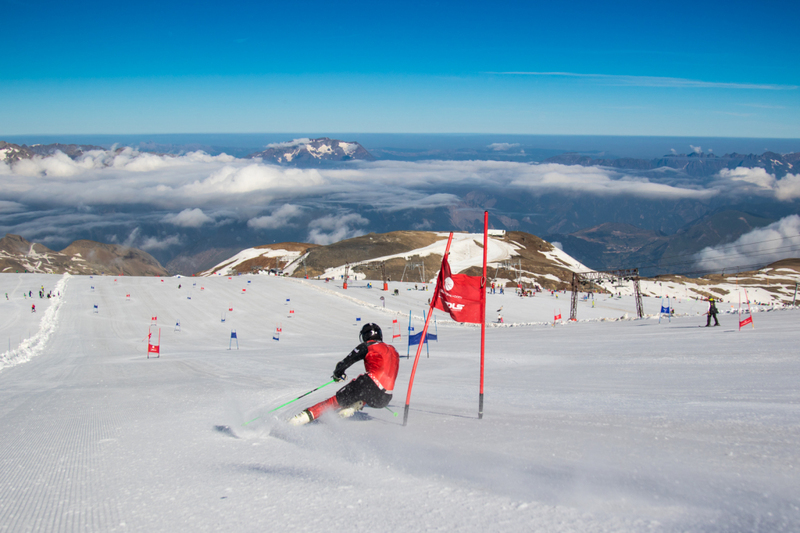 It’s a bit of a contrast to the icy start, so the mornings tend to run with a race start, and a freestyle finish giving it a good mix for those who want to maximise their on snow time. For others, and generally from the people I spoke to people tend to split their days, either with an early start for a bit of race action, or a more relaxed slightly later start (having the advantage of reduced lift queues as well) and more of a freestyle focus. 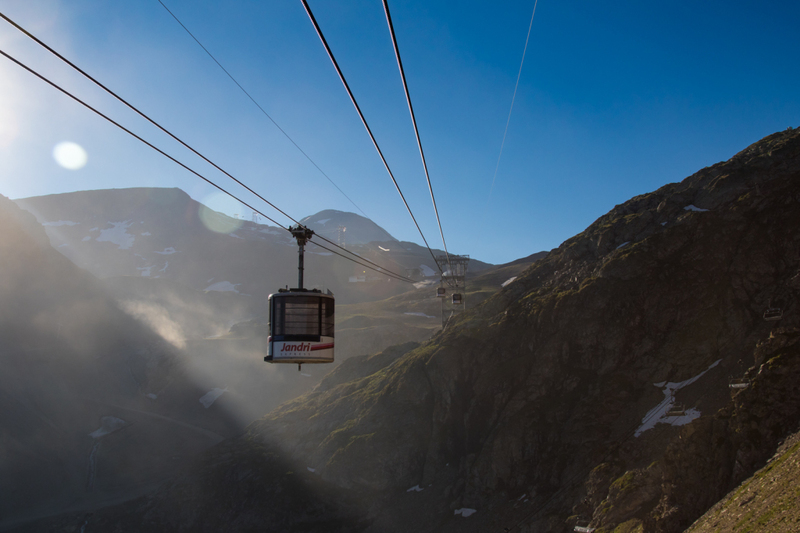 It’s also worth mentioning that there are about 6 drag lifts in operation up on the glacier, so we never found ourselves queuing to get back to the top. They also open up different sections in the Summer, meaning that it’s a very large skiable area. The slopes shut at 12 30, and you need to get the Jandri back down. 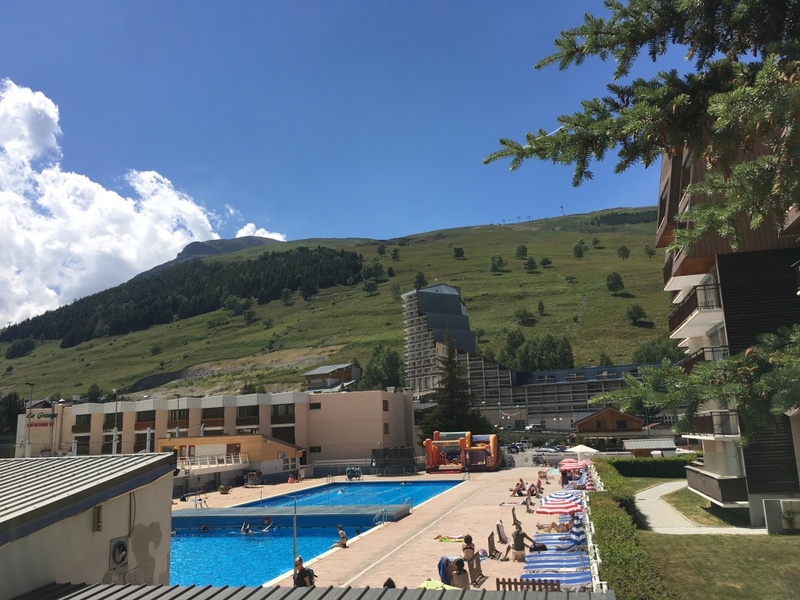 After a hearty lunch back in the hotel there’s a huge range of activities to keep you entertained in the afternoon, such as Mountain biking, archery, swimming, volley ball, tennis, white water rafting etc. the list goes on depending on your penchant for appetite for adrenaline. Of course, if you fancy a little siesta too that’s not a problem! All in all a great week (there was a football game or two apparently), and we’re really excited about next Summer. 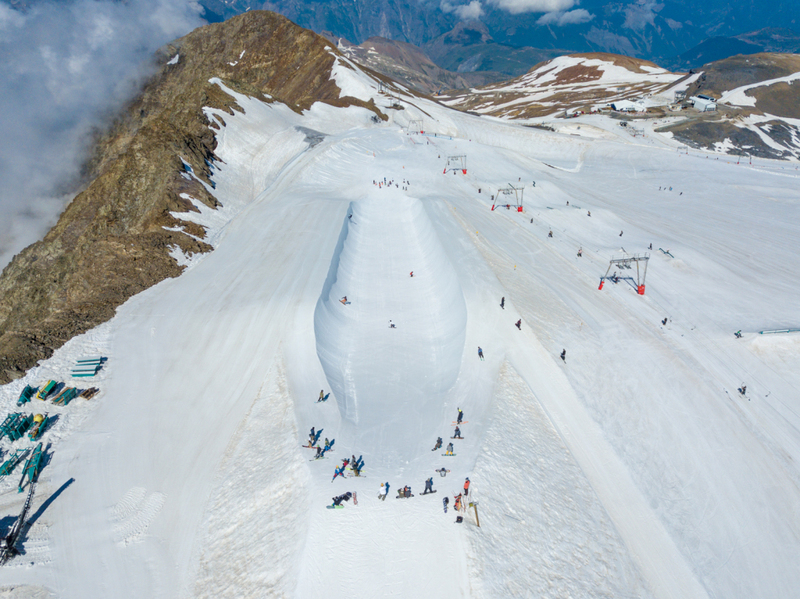 We’ll be launching the Summer Ski and Snowboard Camp in 2019. We’ll be offering a varied programme of both race training, and freestyle coaching. Solely in the belief that at a young age the more pupils can try different disciplines they better! Plus, from all the school groups I spoke too out there freestyle was their favourite. I think it’s something about the warmer and softer conditions, it makes it feel very achievable. As ever we’ll hold evening workshops, and a range of afternoon activities to keep all teachers and pupils busy in the afternoon, and exhausted by bedtime! If you like the sound of it, we’re taking registrations here. Here’s a few bits of pieces from the trip to help paint a picture of life up there!